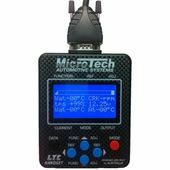 MicroTech is a proudly Australian company which was founded in 1992 with the policy of providing the best and latest technology, in an easy to use way and at an affordable price. From humble beginnings hand manufacturing every unit in the garage, MicroTech has leapt from strength to strength by maintaining our standards of quality and service. Since the conception of electronics management systems, of which Australia is at the fore front, Mazfix has tried and tested many brands over the years. To date, our preference is the MicroTech management system. Consistently Microtech provides control and performance needed. Mazfix is the authorized master distributor for MicroTech. The MicroTech LT Series gives you big performance in a surprisingly small and affordable package, which out performs many bigger dollars systems. Designed to suit most modern EFI engines or carburetor to EFI conversions, the LT Series is the perfect budget solution to your engine's fuel supply and ignition needs. Using data collected from the engine, the LT Series ECU makes instantaneous changes to the fuel flow and ignition curves as conditions change, keeping your engine running in peak condition all the time. When you purchase a MicroTech LT Series ECU, it is fitted with a factory programmed chip which will allow you to start the engine as soon as the LT has been installed. Fine tuning is achieved by the use of the LT Handset or a Software Kit, which allows you to easily customize the function maps for the specific needs of your engine. The LTS Handset also displays information on the engine conditions in real time, and features a data logging facility allowing you to store and retrieve data regarding the running condition to assist with advanced set-up. 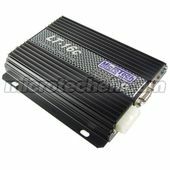 This comes complete with the LT10S ECU, individually labeled wiring loom, a complete wiring diagram, & instruction booklet. 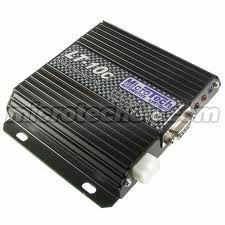 This comes complete with the LT10S ECU, X4 Ignition Module, 4 x Bosch Coils with mounting brackets, individually labeled wiring loom, a complete wiring diagram, & instruction booklet. This comes complete with the LT12S ECU, X6 Ignition Module, 6 x Bosch Coils with mounting brackets, individually labeled wiring loom, a complete wiring diagram, & instruction booklet. The Hand Controller is the easiest way to program a MicroTech ECU for most people new to the system. The Hand Controller holds 4 memcals or programs on board which are easily saved and loaded. Hand controllers are now only available in 4 line. The Hand Controller comes with a backlit LCD 4 line Handset and a COM cable.